Proud Body’s Pregnancy Belly Cast Kits make it easy to capture mom’s pregnant form and turn it into a work of art. The plaster cast you make can be decorated by the entire family, making it a fun project the whole family can enjoy making together. 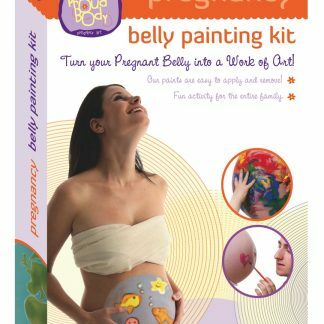 You will also love ProudBody’s Belly Painting Kit, which makes it fun to decorate and paint mom’s tummy.